Surgical teams were well trained and started out doing cardiothoracic procedures – mostly those of the center cavity of the body. Procedures on the lungs, esophagus, and throat can often be performed robotically with the da Vinci system. We are in the process of training additional surgeons and surgical teams who will be performing gynecologic surgery, general surgery, and bariatric surgery utilizing the da Vinci Xi Surgical System. And, if during a robotically assisted procedure there becomes a need to switch to an open procedure, all of the team members are in place to be able to do that. We talk to each other throughout the procedure to determine what is best for the patient. Each movement of the specialized da Vinci Surgical System is controlled by the surgeon who sits at the control platform. The robotic system is not preprogrammed as some may think. All of the surgery movements are done in real-time by the surgeon. However, the benefits of the robotic system is that it can make incisions and movements that are much smaller, more delicate, and intuitive. The surgeon and the team follow the procedure on a screen in real-time. High-resolution video improves what the surgeon can see during the procedure. By providing advanced robotic technology here at Beebe, we are able to continue to provide the highest quality services for our patients and community. We are committed to being a leader in providing patients with minimally invasive treatments that allow them to recover more quickly and get back to living and enjoying their lives. Kurt Wehberg, MD, is a cardiothoracic surgeon with Beebe Cardiothoracic Surgery. 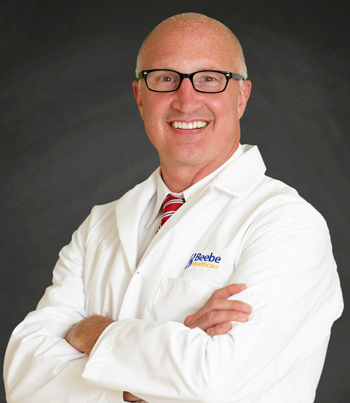 He is also Chief of Robotics and Vice President of Clinical Innovation for Beebe Healthcare. 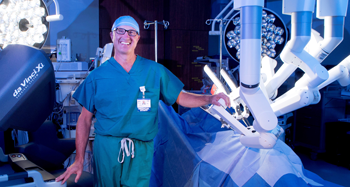 He is working to develop the programs and training teams for the Center for Robotic Surgery at Beebe Healthcare. Learn more about the Center for Robotic Surgery: www.beebehealthcare.org/robotic-surgery.